An everyday life's Odyssey » Facing Moss Landing. Facing Moss Landing. In Monterey’s bay, California. Monterey’s bay is a natural haven for whales, and those are often spotted feeding around them. 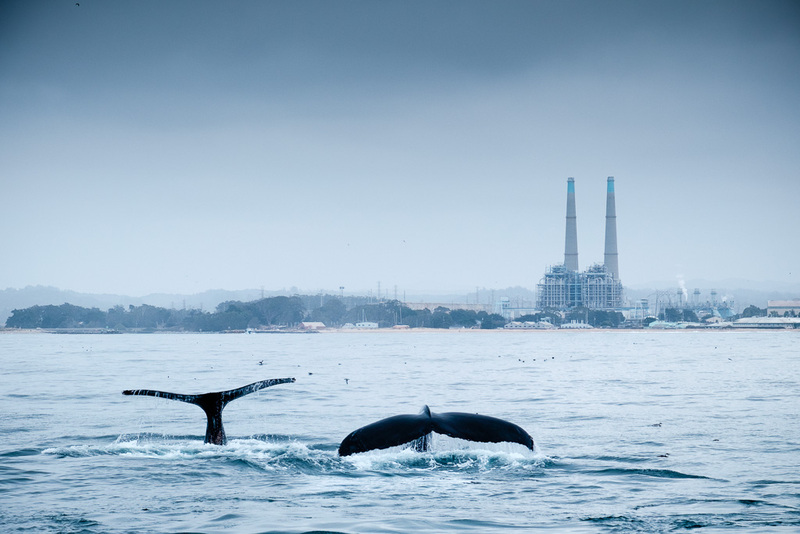 The boat from Monterey cruises for about a hour and a half to see the whales, right in front of the gas power plant.